Zig-a-zig ah! After drawing in Spice Girls fans from across the UK this summer, #SpiceUpManchester An Exhibition About The Spice Girls has extended its run in the city, and settled in at the Great Northern until the end of September. Hold tight, as the exhibition gives fans of the world famous five piece a second chance to get up close and personal with an extensive collection of band memorabilia. Displaying iconic costumes from Scary, Sporty, Baby, Posh and Ginger, as well as items from a never seen before private collection, there will be something new for even the biggest Wannabe fans out there. 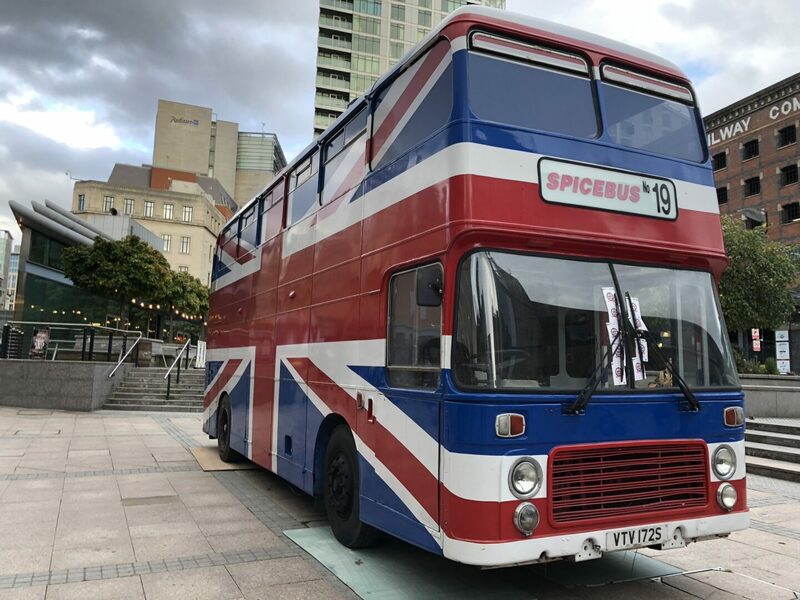 New to the exhibition in Manchester is the opportunity to look around the original Spice Bus. Unmissable with its Union Jack design, the gravity defying double decker will be situated in Great Northern square, offering fans the opportunity to sit in its famous driving seat. Smith-Allison teamed up with renowned Spice Girls collectors from around the world, including Manchester’s own Guinness World Record holder, artist Liz West, who owns over 5,000 individual items ranging from branded crisp packets and clocks, to the jacket Mel B herself wore to meet Nelson Mandela. Tickets to the exhibition, which acts as a celebration of, and a tribute to the biggest girl-band of all time, are available from the exhibition website from £10, with under 12’s going completely free. Salvi’s Mozzarella Bar, A Hidden Italian Delight!